The elderly parents of a Vermont prosecutor who said the marijuana they were hauling through Nebraska was intended for Christmas gifts have been given probation and conditional jail time. 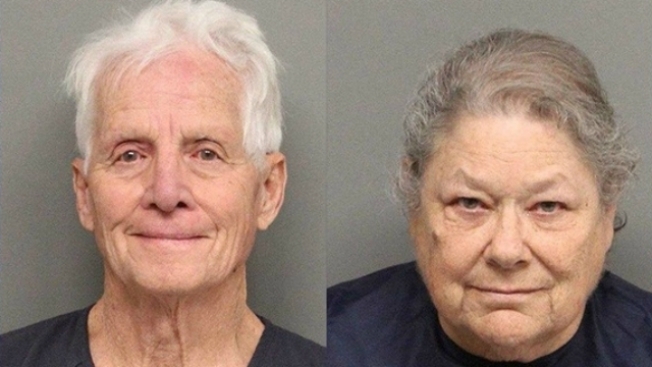 York County District Court records say 71-year-old Barbara and 80-year-old Patrick Jiron were sentenced Monday to three years' probation. They'll be supervised at their Clearlake Oaks, California, home by state authorities. The judge also sentenced the couple to three 30-day jail stints that can be waived if they comply with probation terms. When the Jirons were arrested Dec. 19, they said they didn't know it was illegal to transport marijuana through Nebraska. They told authorities the 60 pounds (27 kilograms) of pot was intended as presents for family in Vermont and Massachusetts. Chittenden County State's Attorney Sarah George has previously said that Justin Jiron, the chief deputy state's attorney for the Vermont county, is not connected to his parents' crime. Barbara and Patrick Jiron each pleaded no contest to possession of more than a pound of marijuana.